We see 5G wireless as the 3rd key innovation (with AI and cloud hosting) that will shape the next 15-20 years of TMT. 5G is a basket of related technical advancements that will greatly improve wireless networks on 5 key dimensions: 1. Faster speeds (10x improvement 1-10Gbps); 2. Reduced latency (sub 1ms); 3. Higher density (1000x more connections and traffic/km2); 4. Increased flexibility (usable spectrum, mix of connection types, low power, etc. ); and 5. 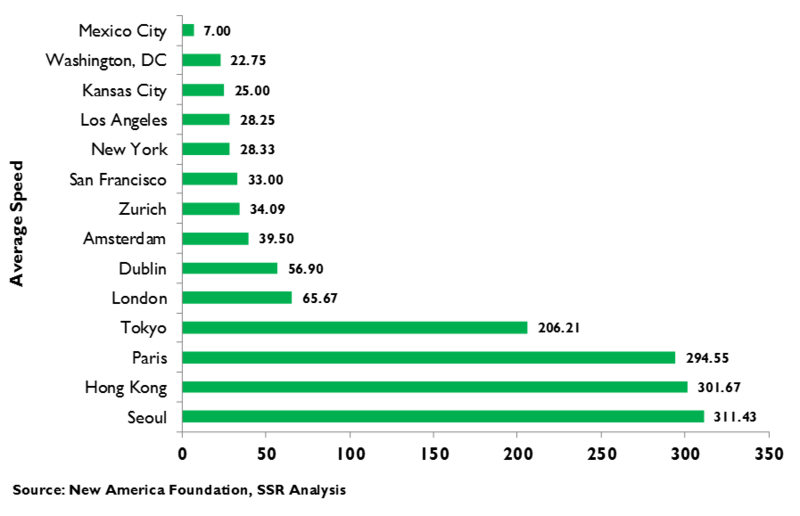 Lower costs (capex/opex per capacity unit). The necessary technologies (MaMIMO, beamforming, net slicing, NFV, mmWave radio, flex TTI, etc.) are on track and the industry has a strong record of meeting its targets. 5G will enable a variety of highly valuable use cases, such as: 1. Competitive residential broadband; 2. Cloud/AI applications; 3. 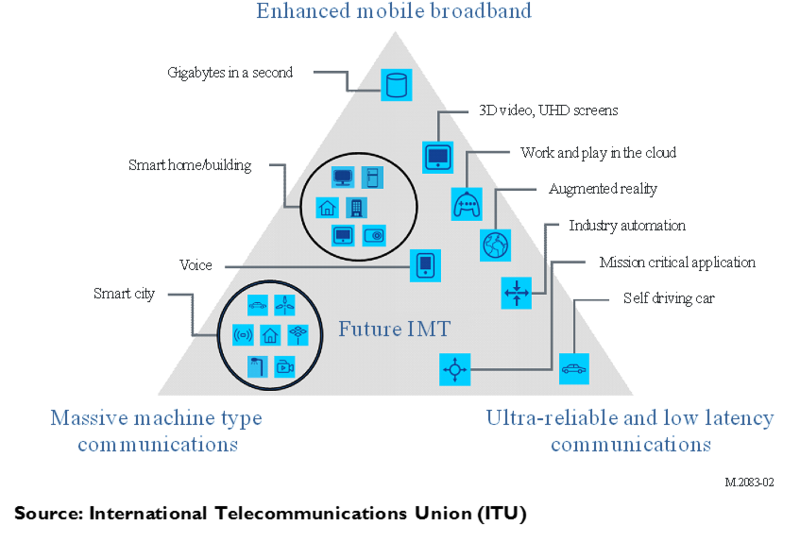 The Internet of Things (IoT) – home, industrial, municipal automation; 4. Autonomous vehicles; 5. Augmented reality. For carriers, 5G is a two-edged sword, offering significant new service opportunities but enabling more vigorous competition. For equipment, device and component makers – 5G is new demand greatly favoring technology leaders vs. the fast followers. For cloud/AI leaders, 5G enables new application categories (e.g. AR, IoT) and enhances engagement for existing ones (e.g. AI assistants). We expect the first pre-standard implementations, primarily supporting fixed residential broadband, in 2018, draft standards in 2019, and ratification in early 2020. Fully compliant commercial deployments and service adoption will follow quickly thereafter. 5G will deliver step-function improvement on several dimensions. 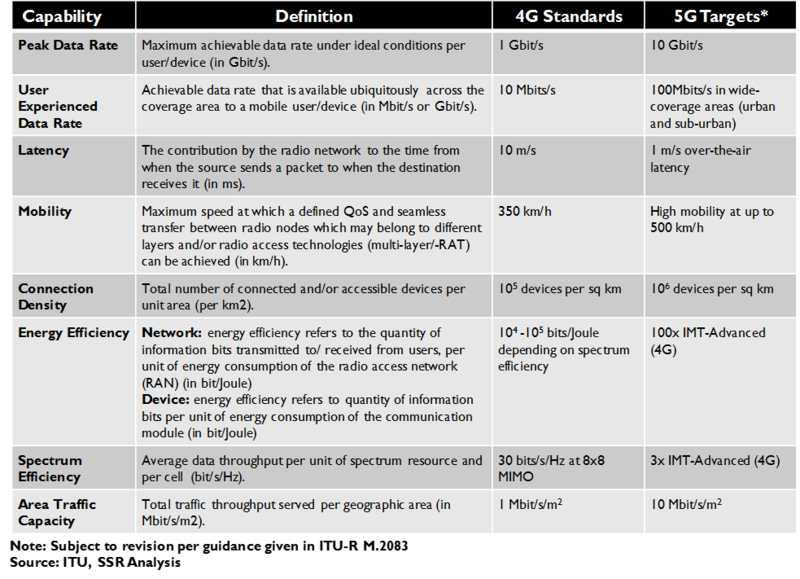 The ITU defines 5G on 8 criteria, but we see 5 main dimensions of change. 1. 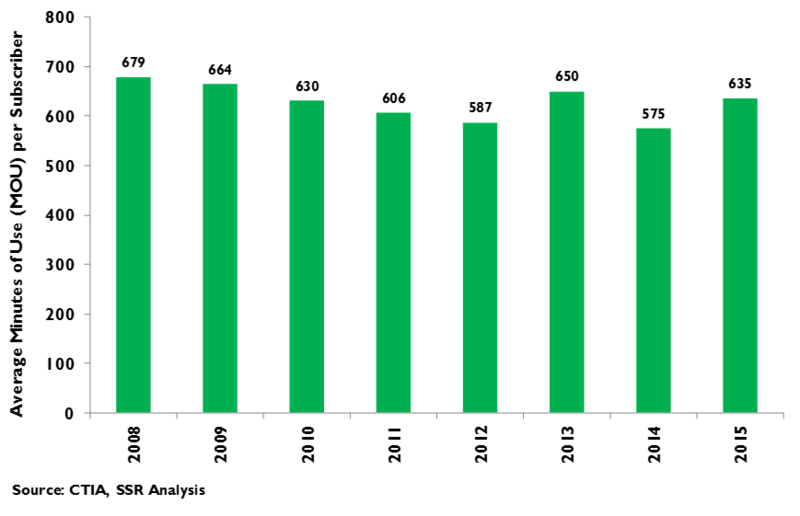 Speed – peak and average downlink speeds 10x higher; 2. Latency – a tenfold improvement to less than 1ms; 3. Availability – 1000 times more connections and traffic per km2; 4. Flexibility – e.g. low to ultrahigh frequency spectrum (paired and unpaired), low speed to broadband connections, extremely low power, fixed and mobile, etc. ; and 5. Costs – capex and opex relative to capacity will be dramatically reduced. Necessary technologies will be ready on schedule. Advancing technology will drive 5G: 1. Radio – Massive MIMO (128 antenna arrays), beamforming antennae (highly focused signals), mmWave (30-60GHz bands), LPLT (very low power/speed transmissions), etc. ; 2. Protocols – Flexible TTI (reducing control bits), short symbol period (reducing connection delays), etc. ; 3. Network – Network Slicing (virtual separation of disparate services), Network Functional Virtualization (separating network elements), Mobile Edge Computing (hyperlocal servers), Dynamic Cell Allocation (refocusing network assets); etc.. R&D in these arenas (and others) has been underway for years, with important advances already demonstrated in pre-standard implementations. The wireless industry has an extremely strong record for hitting its development milestones for new standards on time for commercial deployment. 5G will enable new use cases and expand existing ones. As 5G deployment plays out in phases, we see 5 categories of new use cases: 1. 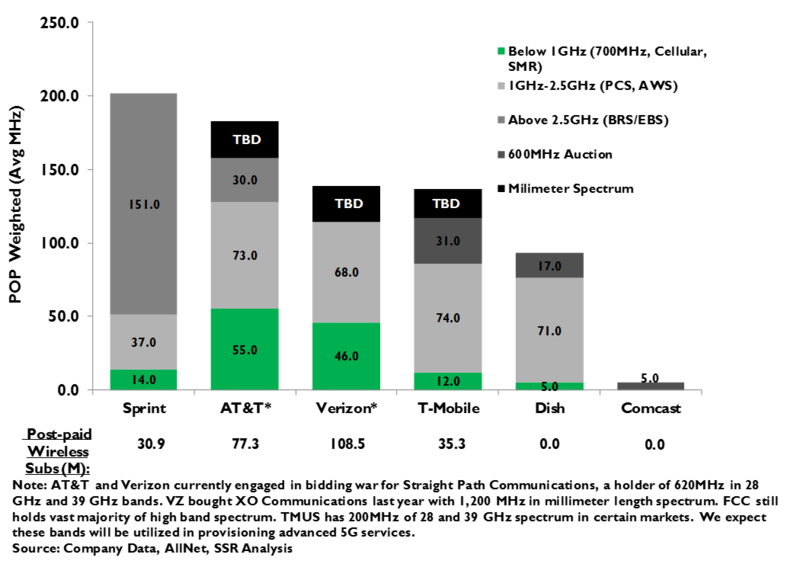 Residential broadband – T and VZ are already planning fixed broadband services w pre-standard equipment within 2 years. Others will join, cherry picking attractive neighborhoods. 2. Cloud/AI applications – reliable high speed, low latency service supports cloud-based apps, such as AI virtual assistants, health monitoring, secure mobile payments, etc. ; 3. Internet of Things – 5G can provide the standardized LPLT connectivity required to drive smart home, industrial and municipal applications forward; 4. Autonomous control – self driving cars and other autonomous systems can be connected with the cloud, with their environment and with other autonomous systems; 5. Augmented reality – real time AR will require a very fast, very low latency and ubiquitous network. Carriers – new opportunities, lower costs, but more competition. These new use cases will drive demand for bandwidth and connections significantly higher, adding important usage categories beyond smartphones. Still, demand will shift even further from the “blanket coverage” voice-first model to the “bandwidth here and now” model for data-first consumers. With increased spectrum flexibility, the dominance of VZ and T could be under further pressure from carriers with non-standard spectrum – including likely new entrants, such as the rumored CMCSA/CHTR tie up, or DISH. With competition and capex requirements, fat ROICs for VZ and T could be threatened, while challengers with strong spectrum holdings, like TMUS and even S, could prosper. We also note that 5G residential broadband could begin seriously threatening cable economics (i.e. CMCSA, CHTR, etc) before decade end. Wireless tech – transition best for R&D leaders. 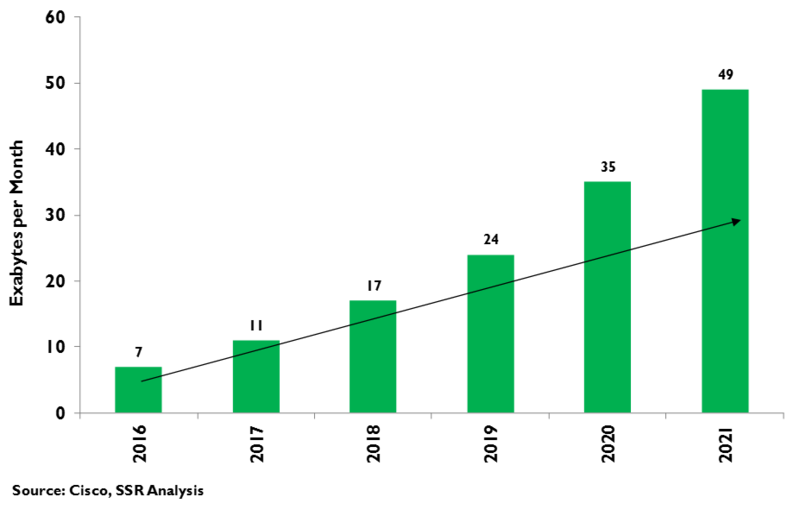 5G will bring a new round of carrier capex that will favor suppliers at the leading edge of the technology – i.e. ERIC and NOK – although their track record at exploiting capex booms for profit is spotty. 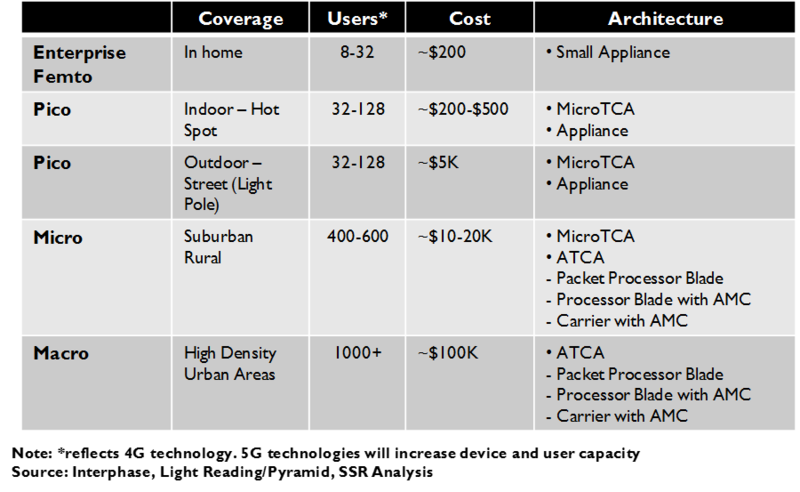 Tower companies will benefit to start, but the shift to small cells could be a long term drag. Given the expected proliferation of small cells and more complex backhaul arrangements, it should also be a boon to providers of network test gear, such as KEYS, NATI, and NTCT. Device makers will be tempted by wearables and AR, but we see the opportunities as more beneficial to component makers. QCOM – likely to be first and best in the market with SoC solutions, and well positioned for new device types (IoT, automotive, etc.) – should prosper, as it has during other standards transitions, and radio players (e.g. BRCM, SWKS, etc.) will also benefit. Significant boost to cloud apps and AI. The biggest winners from 5G may be the cloud based companies able to deliver AI-powered applications that can take advantage of faster speeds, more reliable signal availability and lower latency, while collecting vastly larger data sets from which to learn. Virtual assistants will be more available and responsive. AR experiences will be nearly instantaneous and far more sophisticated. IoT solutions for homes, offices, factories and municipalities will gain from cheap standardized components and low cost connectivity, jump starting a virtuous cycle of data collection and application development. Autonomous control systems for cars, drones, robots, etc. can be augmented with cloud-based support. GOOGL and AMZN stand out here. Functionality will phase in over the next decade. Like 3G and 4G before it, 5G functionality will come in phases of development and investment. Carriers are already employing enhancements to 4G (and hyping them as “5G”) that are clear moves toward the new standard. By 2018, we expect fixed wireless services on pre-standard 5G gear to roll out in 3GHz+ spectrum ranges. By 2020, we expect final ratification of the official 5G standard with compliant upgrades and new systems deployed shortly thereafter. By 2022, we expect mobile AI and home/enterprise IoT applications to gain serious traction on 5G. By 2024, municipal IoT deployments will start to support Autonomous vehicles, and with a decade, consumer AR will finally have its foothold to broad market acceptance. The ITU, the UN agency charged with coordinating international telecom policy, has set the defining specifications for each generation of digital wireless. 3GPP, the industry standards setting body, has incorporated those target specs into its roadmaps for advancing network performance. 3GPP members drive R&D efforts and incorporate advancements into standards releases on a 12-36 month cycle. 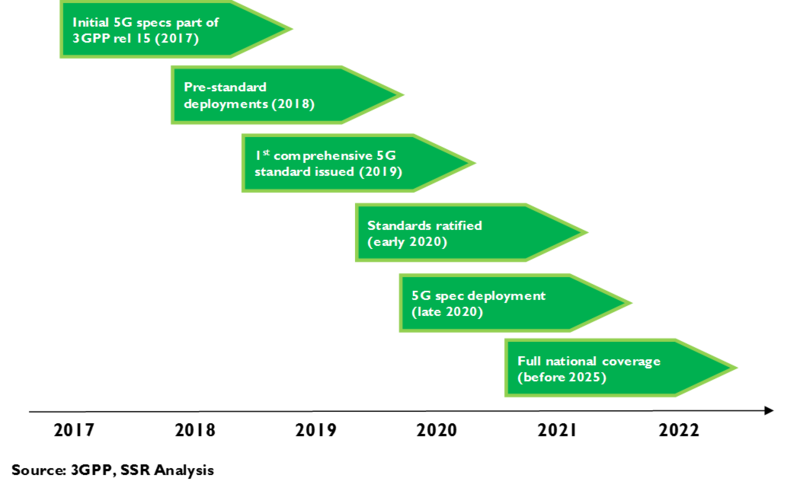 Once a decade, starting with 3G UMTS in 2000 and following with 4G LTE-Advanced in 2011, the 3GPP releases standards intended to achieve compliance with the ITU definitions for the next generation. By this definition, 3GPP is expected to deliver against ITU expectations for 5G with its release in 2020. Of course, commercial wireless carriers feel less attached to this process and its strict definitions. New services are already being hyped as 5G, even though they might be more correctly considered as extensions to the 4G-LTE generation or as pre-standard deployments based on technologies being prepped for 5G. By 2020, the initial 5G spec will be ratified, pre-standard gear will be brought into compliance, new carrier deployments will roll, and R&D labs will be hard at work on enhancements to be added to the next release a year or two further out. 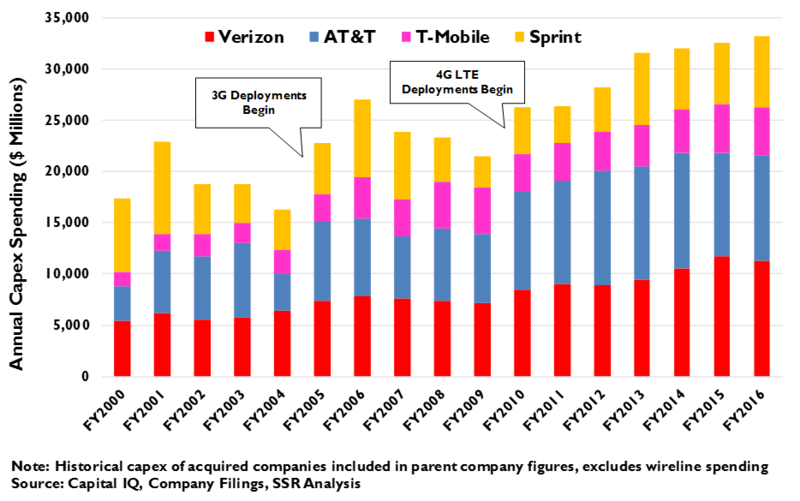 2G, 3G and 4G each saw downlink speeds jump by an order of magnitude in the decade after their initial release, and we expect similar progress for 5G on multiple performance dimensions. We see 5 major vectors of improvement. 5G is expected to boost peak downlink speeds to 1Gbps, with 10Gbps a future target. The target latency for mobile transmissions is poised to drop from more than 10ms to less than 1ms, with the consistency of achieving that level improving with time. Networks will have better availability, with busy cells able to handle a thousand times more connections with a thousand times greater aggregate throughput. The architecture will enable greater flexibility – supporting frequency bands as low as 200MHz and as high as 60GHz, enabling efficient connections at very low speeds and very high speeds simultaneously, with dramatic gains in energy efficiency. Finally, 5G will dramatically reduce service costs per customer and per gigabyte. Wireless R&D leaders have been working on the underlying technologies necessary to make these capabilities, and appear well on track to meet their marks. These improvements have big implications for users, for carriers, for tech suppliers and for the application developers that will depend upon them. We think that the most important use cases are: 1. Residential broadband – look for wireless carriers to challenge for wired internet with high speeds and low prices; 2. Cloud/AI applications – increasingly, mobile users will rely on cloud-delivered AI-powered services; 3. IoT – 5G should break the logjam of competing standards and enable connected homes, offices, factories and municipalities; 4. Autonomous control – self driving vehicles get the hype, but 5G will enhance all manner of autonomous systems; and 5. Augmented reality – high speeds and ultralow latency are must haves for high end AR. There are other use cases, but these 5 will generate much of the initial excitement. This generational shift in wireless will yield big winners (and some big losers) in the next decade. We see it as a double-edged sword for US operators – competitive barriers will weaken and capex will grow even as opportunity arises, leaving the current leaders vulnerable. Equipment makers have historically struggled to profit consistently from spending booms, but a more concentrated global market may help. New device categories will flourish, but smartphone makers will be pressured by component suppliers (i.e. QCOM) and by cloud-based application providers. Consumer AI leaders (e.g. GOOGL, FB and AMZN) will benefit greatly. Mostly, consumers will win, with better performance, lower prices and exciting new applications. The International Telecommunications Union (ITU) is a UN agency responsible with coordinating the telecommunications policies across the member nations, and like the UN, it operates on a “one country, one vote” basis. Amongst many things, it looks to manage wireless spectrum assignments, and the interoperability of networks and equipment across national markets. 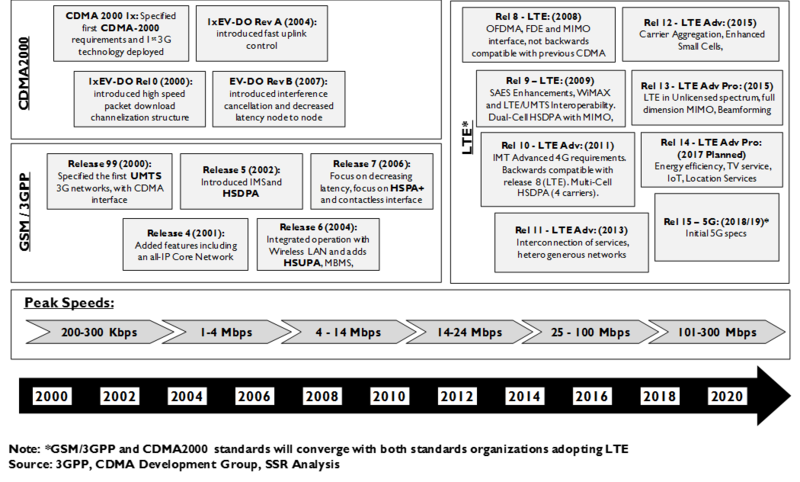 In this vein, the ITU has set basic performance specifications for five generations of digital wireless standards, beginning with the first generation launched in the early ‘90’s, straight through to today’s 5G development (Exhibit 1). For 5G, the ITU has set targets on 8 measures of network performance that it asserts as the defining threshold for 5G – if you don’t meet these, you are not 5G, at least per the ITU. The 8 targets hit on major pain points for consumers and on obstacles for new wireless use cases, and are shown in exhibit 2. Of course, any bureaucratically determined list invites quibbles – a few of the ITU’s targets are closely related with one another, while we’re not convinced that raising the maximum vehicular speed from 150mph to 250mph will have that much impact. The ITU also ignores network costs as a criterion, despite clear evidence that the technologies underlying the achievement of its other goals will have the important side effect of dramatically lowering both capital investment and operating expenses on a per unit of capacity basis. As such, we have gerrymandered the ITU 8 into the SSR 5 criteria, each of which we believe is a critical advance for wireless users and the companies that serve them (Exhibit 3-4). Speed – The ITU is asking for theoretical peak downlink speeds of 20Gbps, vs. the 1Gbps peak for the most recent iterations of 4G LTE-A Pro. They are also asking for the typical downlink speed experienced by a mobile user to increase 10-fold to 100Mbps. Equipment venders have already tested pre-standard gear able to deliver reliable speeds of 1Gbps for fixed wireless broadband. Faster downlink speeds are an obvious benefit for data-rich applications, such as video streaming, and eventually, augmented reality. 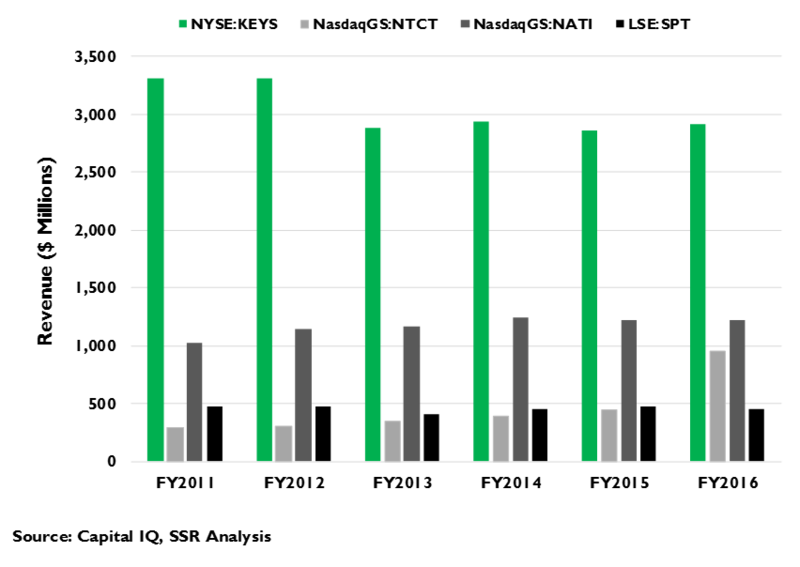 Latency – 4G promised network latency of 10ms, but on a practical basis, user experienced latency is often several times that. There are many reasons for this – e.g. bloated protocols, inefficient data processing architectures, and the physical distances between user and content server – and 5G development must address all of them to get down to the ITU target of just 1ms. While typical users will undoubtedly enjoy faster response times, the real opportunity created may be for machine-to-machine (M2M) communications. Flexibility – The ITU wants networks to use spectrum efficiently and reduce the necessary electric power. Beyond this, the industry wants to use frequencies well beyond the narrow bands that have previously been assigned to wireless. Researchers developing the next gen technologies believe that 5G can be useful in spectrum as high as 60GHz, the millimeter wave band (so called because the wave forms are less than a millimeter in length), opening enormous tracts of unused, and in some cases, unlicensed spectrum for use by commercial wireless services. Carriers also want the flexibility to serve applications with very different performance needs efficiently from the same network architecture – high speed broadband and very low speed M2M connections, mobile devices and fixed connections, users at the edges of a cell and ultra-low power devices close to the antenna – and to seamlessly integrate 5G services with connections over other technologies – e.g. 4G, WiFi, Bluetooth and NFC. All of this will serve to help carriers to exploit a much wider range of spectrum to deliver a much wider range of services to as broad a coverage area as possible. Cost – The ITU ignores cost, but it is one of the largest motivators for carriers to deploy 5G. The standard supports specifications that will allow the use of less expensive and more easily obtained spectrum to eliminate overcrowding in busy cells. 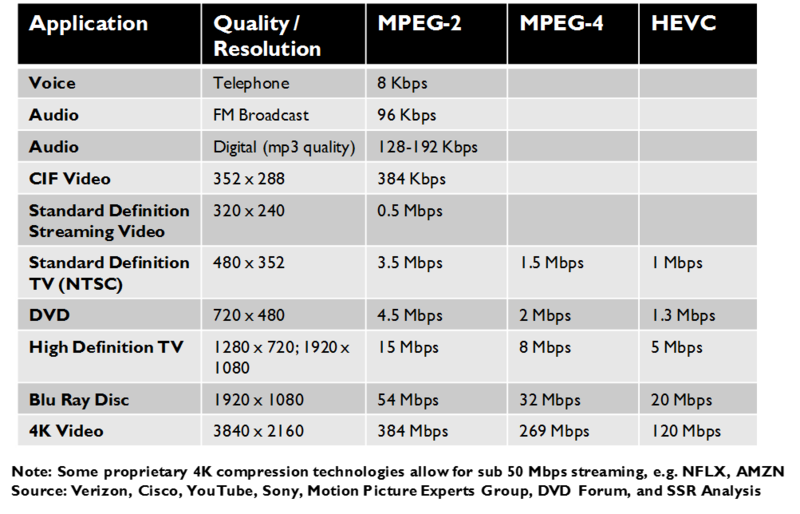 The standard greatly increases the ability to reuse spectrum and to pack more information within a given channel. The standard allows for the dynamic reallocation of network resources to fill usage spikes, keeping utilization high and eliminating redundant investment. The standard allows the use of inexpensive “small cells” as the chief unit of incremental capacity, and relocating much of the processing hardware off macro sites and into significantly lower cost computing locations on the ground. The standard facilitates wireless backhaul, including cell-to-cell daisy chaining, reducing the reliance on higher cost fiber backhaul. 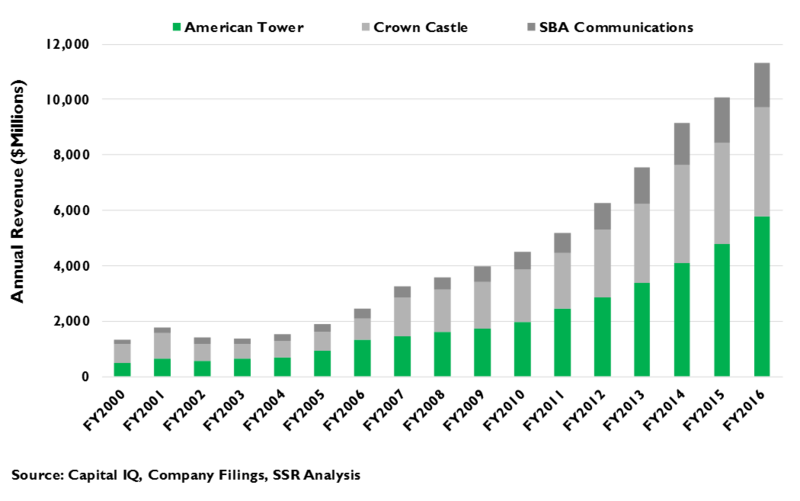 While we expect 5G deployments to drive higher overall capital spending than either the 3G or 4G rollouts, the incremental capacity added will be much, much greater. With the capex and opex costs per GB falling a magnitude or more and with growing competition in the US market, we expect significantly lower prices for consumers. Of course, the existence of an official ITU definition hasn’t kept carrier from jumping the gun to hype enhancements to their existing networks as a “whole new G”. AT&T is facing industry backbiting as it hypes its “5G Evolution” deployment, based on a 4G LTE-Advanced upgrade release that had already been deployed by T-Mobile. T-Mobile itself was guilty of a similar sin seven years ago, when it began hyping its decidedly 3G UMTS HSPA+ network as 4G capable to compete with the real 4G network being rolled out by Verizon. Verizon will join the hype game next year itself as it starts its deployment of pre-standard gear to offer residential fixed wireless broadband services that it will undoubtedly dub 5G. The sniping is unproductive – 5G will be here soon enough and all carriers will have it. The broad improvement goals for 5G require significant advances in wireless and networking technology. Fortunately, the goals weren’t set in a vacuum. Most of the presumed technical solutions for 5G have been under development at the top wireless R&D organizations for years, and seem on track to meet or at least come close to the ITU guidelines by the industry’s own timeline. That timeline is managed by an organization known as the Third Generation Partnership Project, or 3GPP as it is more commonly called. 3GPP was founded in 1998, having arisen from a research project between AT&T and Nortel Networks to implement an all-IP core network behind the carrier’s 2G network. Quickly, a range of carriers and equipment suppliers joined the effort, which took responsibility for harmonizing the regional 2G standard employed by AT&T with the GSM standard supported in Europe and elsewhere. The group also took responsibility for standardizing a 3G architecture that would meet the ITU definition and eventually supersede both 2G standards. Meanwhile, Qualcomm had taken the lead, with some of the same equipment partners that were participating in 3GPP, to found 3GPP 2, an organization that would manage the transition of 2G networks based on its CDMA standard to an alternative 3G compliant specification. 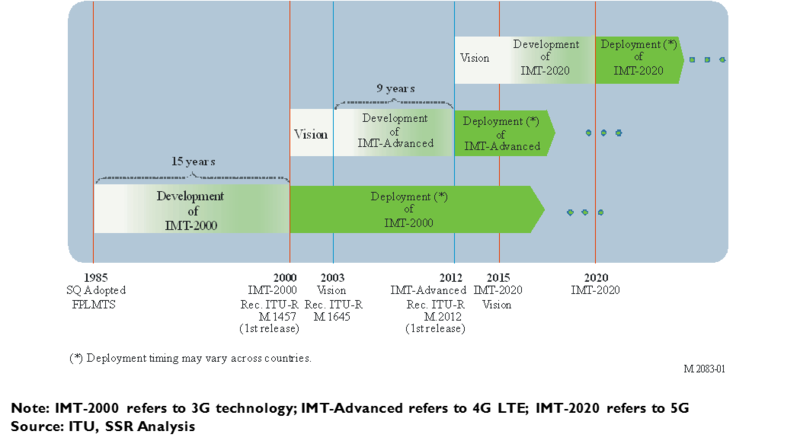 With 4G, ratified in 2008, the two large global standards merged to a single set of specifications to be managed by 3GPP (Exhibit 5). New Radio – 5G’s radio interface will be based on Orthogonal Frequency Division Multiplexing (OFDM), the same technique used to establish individual connections that had been used in 4G, albeit with further advances in connection reliability and efficiency. Similarly, Multiple Input Multiple Output (MIMO), a technology that can separate messages transmitted on the same frequency channel based on their spatial orientation, was used in 4G but will be amped up dramatically to Massive MIMO (MaMI) for 5G, using arrays of 128 tiny antennae per channel to multiply the capacity of each base station many fold. 5G will also use beamforming antennae to focus signals precisely, greatly extending their range and improving their signal attenuation. 5G will also support very high frequency transmission, which will require new radio semiconductors able to operate across the wide set of spectrum bands. Another area of research has been “low power, low throughput” (LPLT), an approach to economically connecting the multitude of low cost battery powered sensors likely to be deployed for IoT applications (Exhibit 6). Protocols/switching – To address the ITU’s latency requirements, the 5G standard will radically change the protocol used to format digital messages. It is likely that the resulting spec will focus on flexibility, coding different sorts of traffic differently to prioritize performance around the most critical parameters for each type of traffic. 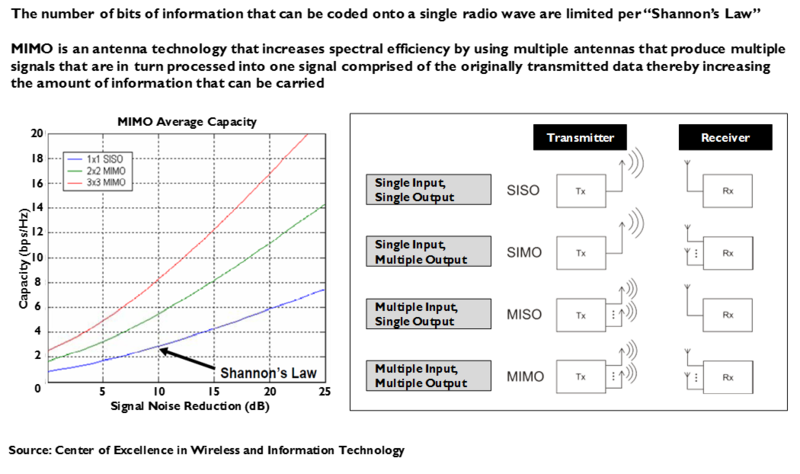 The industry term for this flexibility is a scalable “time transmission interval” TTI, such that high frequency band traffic subject to transmission error or traffic demanding the lowest possible latency might be processed differently than typical user traffic. Another aspect is the length of the 5G “symbol”, which refers to the way that data is encoded on a wave form. 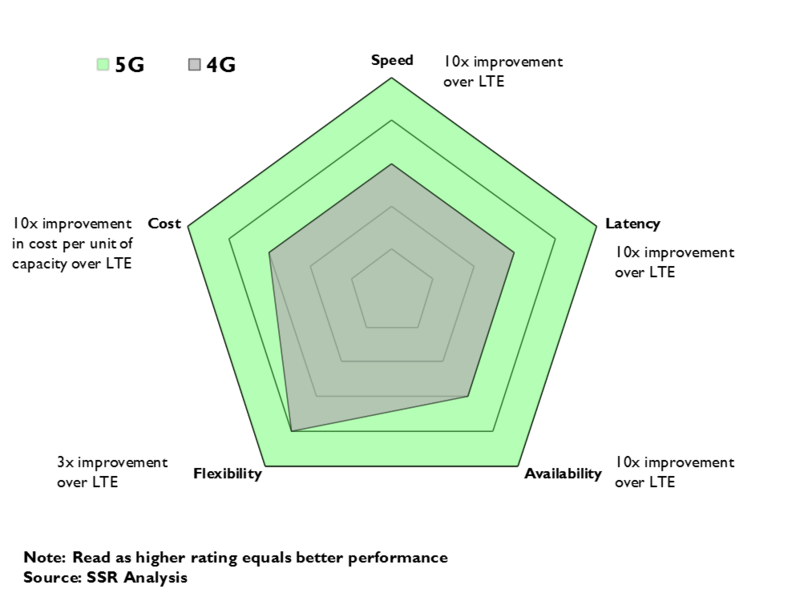 Longer symbols are more efficient, but introduce unavoidable latency. Shortening the symbol period while sustaining spectrum efficiency is a knotty problem for wireless scientists, but one for which multiple solutions have been proposed (Exhibit 7-8). Network Architecture – Working group proposals for 5G are developing a concept called “Network Slicing” – a technique for interleaving disparate service types atop a common underlying network framework. This will be critical for networks required to carry 1 Gbps mobile video streams alongside latency intolerant but sub-1 Mbps transmissions for IoT. Another key facet of network design is the separation of control layers from the data – a technology approach called Network Functional Virtualization. With this, many functions traditionally processed directly at the cell site would be provided remotely from shared data centers. This approach dramatically improves network utilization and allows for capacity to shift into busy cells to relieve potential bottlenecks. 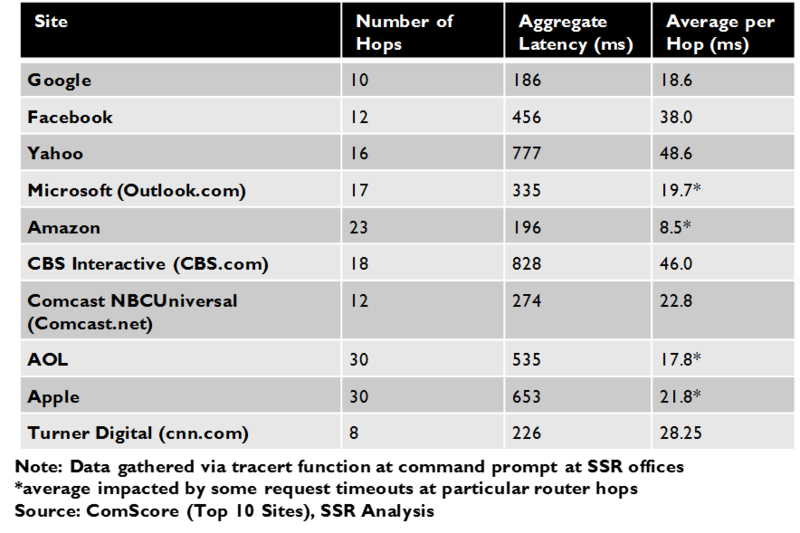 At the same time, content will be cached much closer to the cell site, reducing hops and thus latency, much the way CDNs have facilitated more responsive performance for the broader internet. Finally, 4G has already introduced carrier aggregation – a technique for combining bits of disparate spectrum into a logically contiguous communications channel. This will be greatly extended for 5G. Fixed Broadband – Both Verizon and AT&T aim to attack the cable industry residential broadband hegemony, using high-band spectrum and pre-standard 5G equipment. While the history of fixed wireless broadband is an unbroken record of failure, we are confident that this iteration will be successful. Prior versions of fixed wireless broadband suffered from high equipment costs, strict line-of-sight connections, and unacceptable attenuation from weather and foliage. The new 5G-based systems will have none of that. A small cell, costing less than $5,000 and mounted on a light pole or rooftop, will be able to provide 1 Gbps fixed service to most households within a 3-4 km range using high capacity (and low licensing cost) frequency bands above 6GHz (Exhibit 9). Wireless backhaul, including daisy chaining small cells to hop cell-to-cell, will be a strong alternative when fiber is unavailable or too expensive. 60% of American households have no current alternative to Cable for residential broadband, and average prices for the service are amongst the highest in the world (Exhibit 10-11). We believe carriers will be able to cherry pick particularly attractive neighborhoods with service that be rolled out quickly once the pre-standard gear is available, likely within a year. This could reduce the price and improve the performance of broadband for tens of millions of U.S. households. It will also threaten the high pricing and attractive margins for the cable operators that dominate the U.S. broadband market – Americans pay some of the highest prices in the world. Cloud/AI – Higher speed, lower latency, more reliable, lower cost wireless service will be a windfall for cloud-delivered applications, particularly AI driven applications. Obviously, streaming video will be better and cheaper, while traditional apps and mobile games will have richer and snappier responses, but the changes will be more fundamental (Exhibit 12). AI-based assistants, like Apple’s Siri, Amazon’s Alexa, Microsoft’s Cortana and Google’s blandly named Assistant, will connect to more things, gather more data, and tap more cloud firepower to deliver much better service to users, and, likely, replace the tap-n-click app model as the primary way we interface to information. We have written about this at length. (LINK) Messaging will be almost effortless and ever richer with images and video. The delays, service interruptions, and data costs that prompted app designers and users to favor on-device processing and storage for many purposes will no longer be impediments to cloud based alternatives. These changes will not appear in an overnight flash cut, but, rather, phase in as carriers roll out deployment and as new 3GPP releases enhance the initial specification. The Internet of Things – The tech industry has been touting the IoT for many years. Countless demos and power point presentations touting smart homes, smart offices, smart factories and smart cities have numbed industry vets to the vision of myriad connected devices and sensors monitored and controlled by cloud-based applications. An alphabet soup of competing standards and the high cost of wireless connectivity have kept solutions from reaching critical mass, but 5G stands to resolve both problems. With a single standard set for low power, low speed transmissions, IoT silicon will quickly gain economic volumes and device makers will overwhelmingly support the global standard and take advantage of low price points from competitive wireless carriers. Local connectivity solutions in unlicensed spectrum will be harmonized with the 5G specs to broaden their applicability and exploit economies in components. The use cases are myriad – from controlling the home (thermostats, appliances, security, lighting, entertainment, etc. ), to industrial applications (remote metering, environmental sensors, power management, etc. ), and municipal uses (traffic controls, public safety monitors, systems controls, etc.) – and connected hardware and cloud-delivered software solutions will likely thrive. Autonomous Control – Self driving cars are the big opportunity here, even though the technology for full autonomy cannot (and will not) rely on a connection to the network. Still, 5G will make autonomous vehicles better, enabling car-to-car alerts (accident avoidance), efficient “platooning” (when vehicles coordinate to travel in packs), route planning (updating maps and traffic conditions, parking info, etc. ), fleet coordination (trip assignments and ride sharing), government alerts (law enforcement, emergency info, etc. ), and other functions. 5G will also allow better data collection on road conditions, facilitating efficient traffic controls, timely infrastructure maintenance, etc. We have written extensively on the likely evolution of the autonomous vehicle market. (LINK) 5G will also facilitate other autonomous mobile systems – drones, delivery robots, etc. We expect that this use case will be later to emerge – 5-10 years from now – as standalone autonomous vehicles become more commonplace. There may well be other major use cases that have not been widely anticipated, but we believe that these are more than substantial enough to justify the hype circling around 5G. Indeed, we believe the hype may be underestimating the extent to which 5G might stimulate wired broadband cord-cutting and its impact on consumer AI applications. 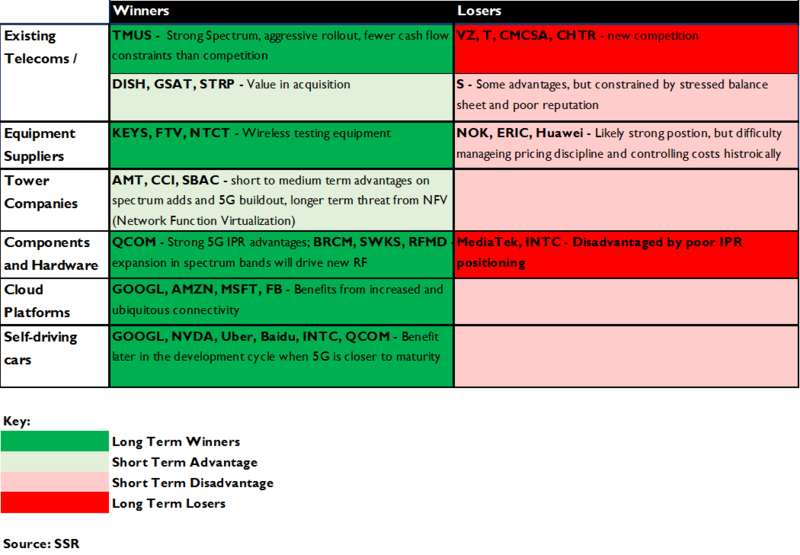 As adoption proceeds, we see major winners (and a few losers) across several key TMT sectors. For many years, the basis of competition for wireless service could be easily depicted by a map of the United States filled in with blotches of color wherever each carrier could deliver voice coverage. With voice telephone calling as the dominant application, people valued unbroken coverage and would pay extra not to have their calls dropped on the commute home. This worked out well for the companies holding the two original 850MHz licenses in each market – essentially the current AT&T and Verizon, after a long run of consolidation – and relatively badly for the later entrants forced to make do with higher frequency spectrum and, thus, much smaller cell sizes. 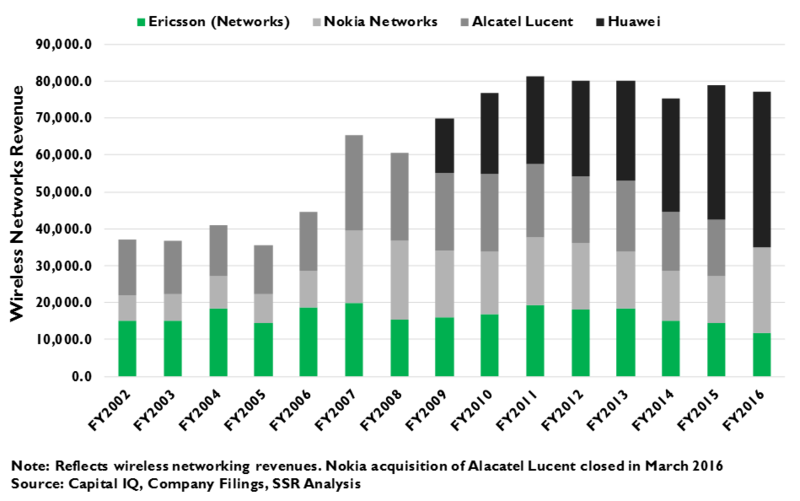 The wireless market evolved into a duopoly, with the leaders exploiting their spectrum derived performance advantage into dominant market shares and high prices (Exhibit 14). Similarly, cable operators have come to monopolize video-capable broadband in most U.S. markets, yielding residential internet prices that are amongst the highest in the developed world. However, it is apparent that the market dynamic is quickly evolving. Seven years ago, the volume of wireless voice calls began to decline as the usage of wireless data services exploded (Exhibits 15-16). In the interim, the secondary carriers consolidated, acquired additional spectrum and invested in enough coverage to be “good enough” for most users. The basis of competition has shifted from “Can you hear me now?” to “Can I load the Facebook App quickly at lunchtime?” and “Can I reduce my monthly wireless bill?”. This is favoring the challengers, particularly T-Mobile, which has captured attention with its “Uncarrier” initiatives to challenge the duopolists with lower cost and more customer friendly service. We believe that 5G will push this dynamic even further. Consumers will care less about whether they can get the service in every possible place, and more about whether they can reliably get the best performance where they are most of the time. Carriers will need to project as much capacity as possible into their busiest cells, and the smaller carriers, which by definition have fewer customers, will be able to do so more easily. Similarly, the new use cases will not generally require blanket national coverage – fixed wireless will be neighborhood by neighborhood, and IoT and autonomous vehicles will have a more localized requirement, at least at first. 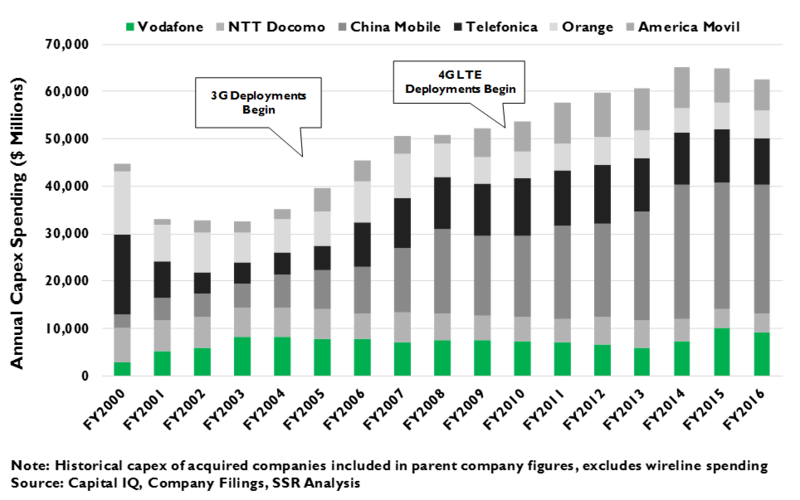 Moreover, 5G creates significant value for spectrum licenses in higher frequency ranges. Sprint has roughly 200 MHz in the 2.7 GHz band that it acquired with Clearwire, while T-Mobile has 200 MHz in the 28 and 39 GHz, in as many as 20 metropolitan markets through its deal for Metro PCS. Verizon and AT&T are currently in a bidding war for Straight Path and its high band spectrum licenses, with Verizon reportedly ahead with a $3.1B offer. (Exhibit 17). We also note that there are new parties – notably Dish and Comcast – that are sitting on valuable spectrum with apparent intention to offer wireless services. The capital spending to build a network from scratch, particularly if national coverage is an intent, would be substantial for either company going it alone, but a friendly environment for M&A could yield consolidation, and interested 3rd parties, like Google, could be drawn into partnerships to help fund a build out. The possibilities of a Sprint-T-Mobile combination, and of realistic entry by new national wireless providers are extremely threatening to the Verizon/AT&T hegemony. Thus, the new opportunities created by 5G – e.g. fixed broadband, M2M IoT, autonomous systems, AR, etc. 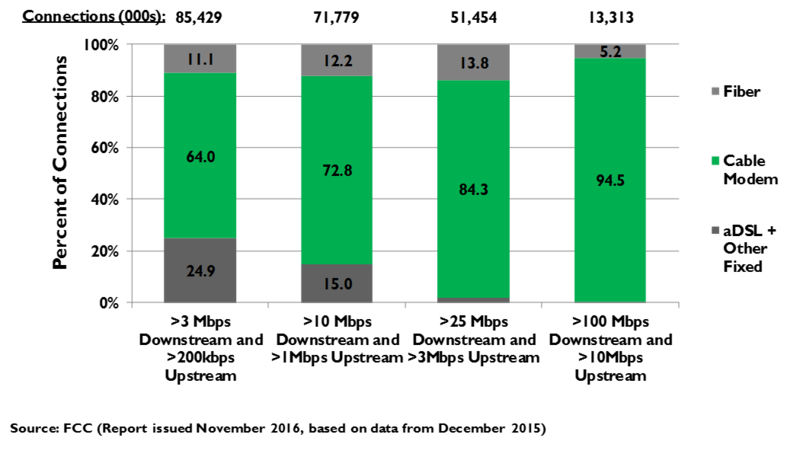 – and the increased usage for mobile services in general may be partially offset by more vigorous competition. This impact will be more acute for the leaders with wide margins and 5% dividend yields to protect, and Verizon and AT&T will likely look to maintain a price premium even at the expense of lost market share (Exhibit 18). This keeps the window of opportunity wide open for T-Mobile, which is touting an ambitious plan to be first to market with nationwide 5G services. With the further possibility of acquisition overtures, we are confident in our inclusion of T-Mobile in our model portfolio. We have followed the wireless equipment market from the early days of 2G. Historically, the transitions from one wireless generation to another have yielded increases in carrier spending but have not always driven strong performance in telecommunications stocks. 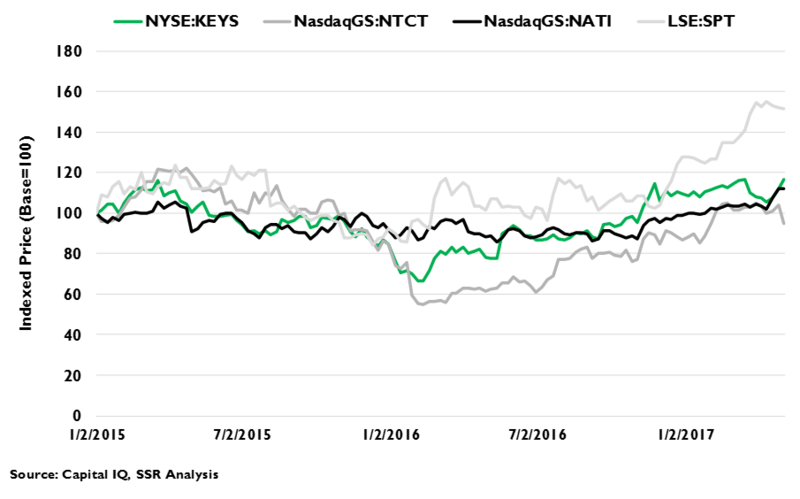 Shares of Ericsson, long the global leader in telecommunications equipment, have risen just 50% over the 28 years of digital wireless network investment, and have evinced little appreciation at all since the initial bounce back from the 2008 market crisis (Exhibit 19). Clear acceleration in wireless CAPEX in 2005 for 3G and again in 2011 for 4G LTE delivered no benefits to shareholders (Exhibit 20-21). Motorola, Lucent, Siemens, and Alcatel – all once competitive players in mobile equipment – are history, absorbed into Nokia, while Ericsson acquired the dregs of Nortel’s wireless networks business in 2009. Today, Ericsson, Nokia and China’s Huawei control nearly 95% of global wireless carrier networking equipment market share, yet the two western leaders are still struggling to deliver against profitability expectations (Exhibit 22). Nokia has the excuse that it is still digesting the corpus of Alcatel-Lucent, and both companies like to cast aspersions on Huawei’s presumed willingness to sell below its costs, but neither has given investors’ confidence that their future performance will be meaningfully better. Perhaps it will be better this time. Global carrier capex should pick up by at least 2019, as developed market carriers prepare to roll out their initial 5G services. 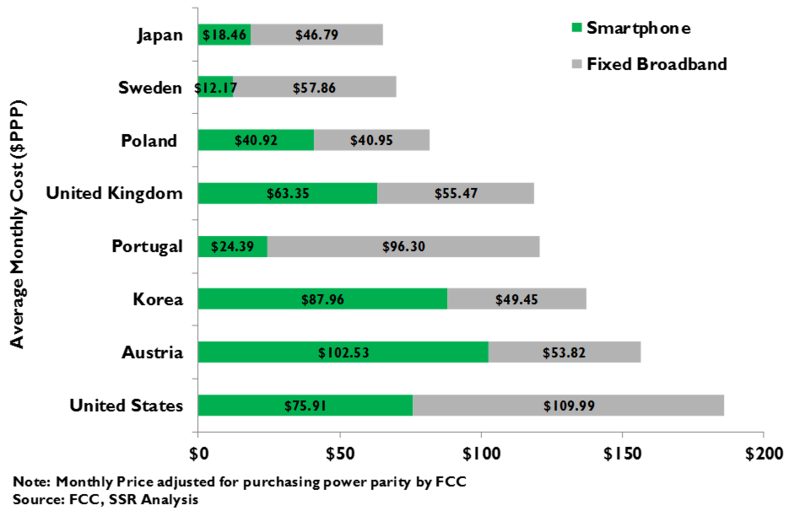 Still, we are inclined to be a bit cautious, to wait and see if the spending can drive profitability this time. Tower companies will face cross currents with 5G. On one hand, 5G will continue to require macro cells on towers, at least for coverage and for wireless backhaul from small cells, and it will be many years before the lease commitments for 3G and 4G gear run out. Tower companies may also may play an important role in securing and maintaining sites for small cells on light posts and rooftops. We also note that the threatened build outs by new entrant spectrum holders like Dish and Comcast could be a windfall for tower operators (Exhibits 27-28). On the other hand, 5G architecture, with its focus on pushing density through small cells that will not be mounted on traditional cell towers and with Network Functional Virtualization pulling much of the call processing capabilities currently hanging on towers into the cloud, may be less than friendly in the long run. We suspect that the trajectory may show upside demand for tower space in the early years of deployment, but an inflection point 5-10 years out. For many investors, that longer term may be irrelevant, but it would be worth monitoring the news flow with concern for a shift in sentiment. The bloom of the wired internet created fortunes, far more for the providers of the services that rode upon it than for the companies that built the network or provided the infrastructure. The same was true for the wireless broadband revolution, with the obvious exception of Apple and its game changing user interface technology. We see 5G as part of a generational sea change where once again the biggest beneficiaries will be amongst the companies using the capabilities of the network – speed, availability, latency, and cost – to deliver new services to consumers and to enterprises. AI will be at the center of it. With reliable high speed links, ultra-low latency, and essentially unlimited data usage for consumers, most applications will run entirely on the cloud, tapping massive computing and storage resources and sophisticated deep learning models to deliver extraordinary functionality and performance to mobile devices. Current apps will just be better – near zero loading delays, super high resolution video and graphics, and accurate personalization to your needs. New and emerging apps will come to the fore. For example, AI virtual assistants will be able to process voice requests much quickly and more accurately (along with processing other forms of input, like gestures, facial expressions, etc.). Learning will accelerate, as these AI programs process more, and more requests. The systems will be able to control more things, as low power connections based on 5G gain critical mass. Users will be able to rely on their AI assistants without worry that the connectivity will be inadequate to process requests. We believe the convenience of a single intuitive, cloud-based interface able to anticipate needs and understand both intent and preference is likely to supersede today’s model of myriad apps downloaded to the device. 5G will be instrumental in making that happen, but Alphabet, Amazon, Apple, and MSFT are in the driver’s seat. AI will also be at the center of the Internet of Things, taking the mountains of data collected from sensors and systems in homes, enterprises and communities and building invaluable services. Automated systems that attend to maintenance, manage environments, promote safety, address resource efficiency, and extend user convenience will be made possible by 5G. 3rd party applications developers will reap much of this opportunity. Eventually, this will play into autonomous vehicles that make sophisticated driving decisions on their own, but gain significant further efficiency and safety benefits by communicating with a centralized fleet management AI, with municipal systems, and with each other. Here, the technology leaders are Alphabet’s Waymo and Baidu, with Uber laboring to catch up, and a cast of thousands back in the pack. We suspect the 3rd party opportunities will be better in the extra-vehicular applications made possible by 5G. Finally, with the Snap IPO, Apple rumors and Facebook’s Oculus investment, there has been broad speculation about augmented reality as a primary interface for next generation consumer devices. We believe that this speculation is early – there are still substantial technical hurdles for AR to reach the performance, form factor and price point needed to make mass market adoption realistic. Still, we see 5G as a major contributor to that eventuality. Consumer AR will require a powerful AI seated in the cloud analyzing the field of vision and interpolating appropriate digital images into the perspective. While we see the cloud hosting and the core AI engine as the province of the big four – AWS, Microsoft Azure, Google Cloud Platform and IBM Watson – we also see significant opportunity for 3rd parties to develop the functional applications that exploit the possibilities of AR. Some of the promise of 5G will show in enhancements to 4G-LTE that are rolling out now – specifically, support for new spectrum bands, faster downlink speeds and better network density. This is what AT&T is already touting as “5G Evolution” and what T-Mobile has had in service for more than a year in some of its markets. More of the promise of 5G will show in pre-standard deployments due in 2018 to support fixed wireless services for Verizon and AT&T (Exhibit 29). We believe investors are likely underestimating the impact that this will have on the residential broadband market currently dominated by cable MSOs. We believe that the first official 5G standard will be issued for comment by the 3GPP before the end of 2019, and ratified by early 2020. Network equipment vendors, deeply involved in the network working groups developing the specifications, will be ready with fully compliant commercial systems and software upgrades to their pre-standard systems shortly thereafter, allowing commercial deployment before year end 2020. We believe that Qualcomm will lead the way with SoC solutions and modems to enable 5G compliant devices in the same timeframe – competitors will have standards compliant products but will not deliver similar integration for a few generations. Further 3GPP releases will extend the performance advantages of 5G on a 1-3 year basis, as carriers broaden their roll out to extend the speed, latency, availability, flexibility and cost advantages of 5G to their full national coverage well before 2025. We believe IoT and AR applications will take until the latter half of the next decade to really gain traction. Our confidence in this timeline comes from a long history of the wireless industry hitting its marks on delivering promised technology advancements and then quickly deploying them. We see no reason why 5G will play out any differently than 3G or 4G. We believe that 5G will have broad effects over the entire TMT landscape, creating both opportunities and threats for established companies while sparking the rise of new companies contributing to and exploiting the new paradigms. Amongst existing telecommunications carriers, we see T-Mobile as the biggest winner, with strong spectrum holdings, an aggressive 5G rollout plan, and competitors constrained by their need to sustain extremely high cash flow returns to fund dividends. Sprint has advantages as well, but it may not be able to be aggressive given its stressed balance sheet and poor brand reputation. Verizon and AT&T have more to lose than to gain. Cable operators face a double whammy of a deteriorating PayTV market and the specter of new wireless competition for their monopoly residential broadband franchises. Spectrum holders like Dish and Globalstar will certainly have value in acquisition – high-band licensee Straight Path is already the object of a vigorous bidding war between Verizon and AT&T. The equipment suppliers are a tough call. Huawei, Ericsson and Nokia will dominate 5G equipment sales, but have historically found it difficult to maintain pricing discipline on big contract bids and have not managed costs effectively. The market is more concentrated now than it was during the 3G bidding, when Alcatel, Lucent, Motorola, Nortel, and Siemens were all still competing, or even 4G, when Alcatel-Lucent was in the game. We recommend some caution to see if Ericsson and Nokia can deliver improving profitability ahead of the contract bidding. 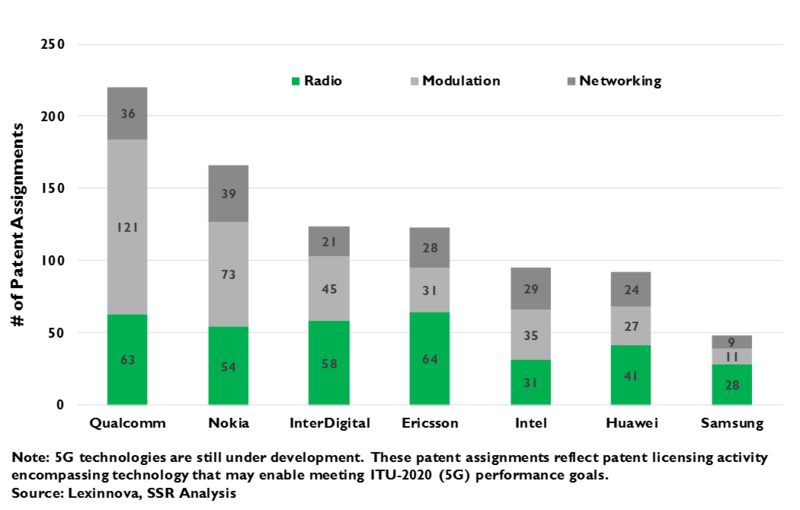 Network testing is likely to be a safer bet – Keysight, Fortive, NetScout, Spirent, and others should see acceleration in their wireless businesses. 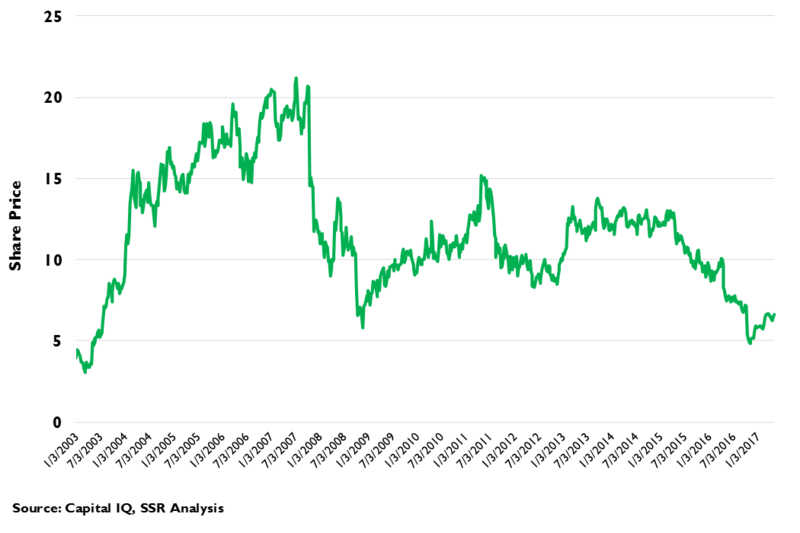 Historically, this has been good for sales, profits and stock prices. 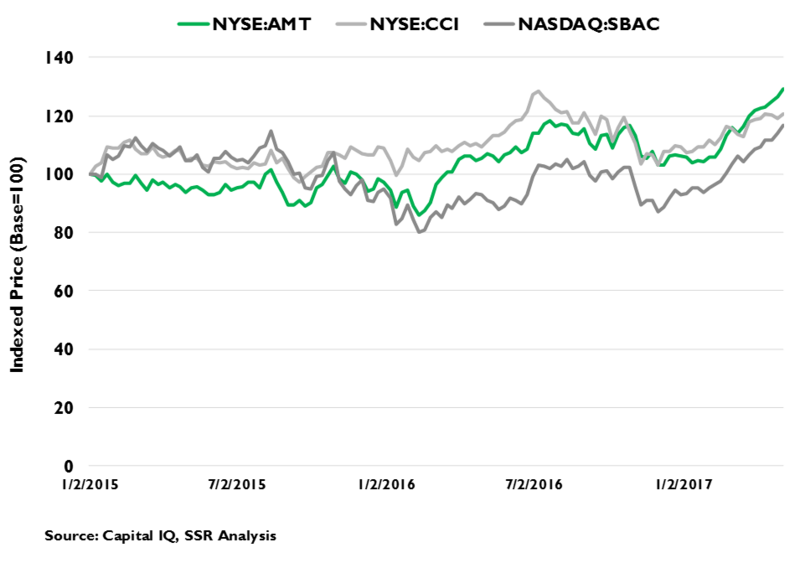 Tower companies (American Tower, Crown Castle and SBA) are already getting some 5G love, rebounding from a 3Q16 swoon to challenge for their all-time highs. There are definitely puts and takes for these stocks. New network buildouts (e.g. Dish, Comcast/Charter, etc. 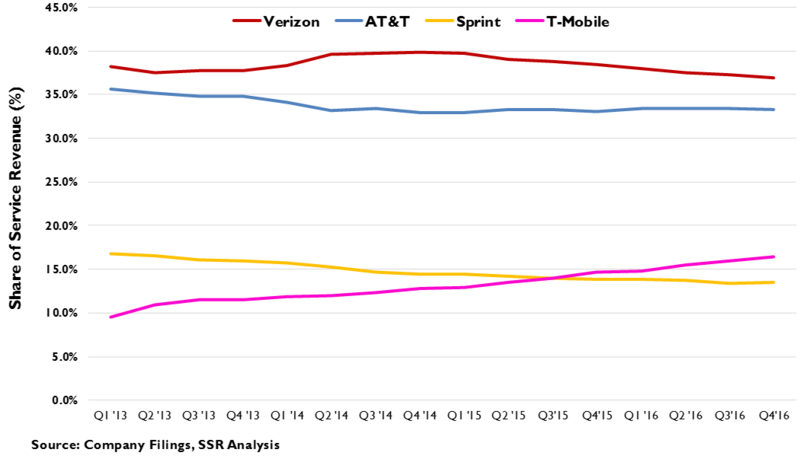 ), new spectrum additions (T-Mobile in the 600MHz band) and service introductions (e.g. Verizon and AT&T’s fixed broadband services will clearly make macro tower space more valuable in the near to intermediate term, while the tower companies look to add value for deploying small cells (e.g. site acquisition, power and backhaul, etc.). In the longer term, the architectural shift toward NFV will move processing functions out of the cell site and significantly reduce the space, power and maintenance needs at the tower, while carriers may decide to address their small cell needs in other ways. We see the opportunity as arriving a few years ahead of the threats, so we remain optimistic that the tower industry can continue its roll for a while longer. It is not clear that 5G is likely to give any specific device maker an advantage, although the new capabilities will likely show up in unforeseen places and may spur a decent smartphone upgrade cycle. However, component suppliers will surely benefit. The big kahuna is Qualcomm, which leads the entire industry in 5G patents and has unequivocal advantage in integrating new communications standards into its chips. Qualcomm’s SoC and Modem rivals – notably Mediatek and Intel – will be at a disadvantage. 5G’s huge expansion in useable spectrum bands will also put a big premium on RF chips, benefiting Broadcom, Skyworks, RFMD and the previously mentioned Qualcomm. Finally, 5G will open major opportunities for cloud-based platforms to deliver superior services to mobile users. Alphabet will benefit substantially, with boosts to its Search, YouTube, Assistant, Android, Waymo and other businesses and huge opportunities to lever its data assets and AI capabilities. Amazon will also see big benefits for its Prime Video, core shopping, Alexa, drone delivery and other initiatives. Facebook will be able to deliver richer experiences, including VR and AR. Microsoft is more focused on the enterprise which relies more on wired networks, but will nonetheless benefit from being able to project its AI capabilities, such as Cortana, ubiquitously. Self-driving players – Google, but also Uber, Baidu, Nvidia, Intel and others – will benefit later in the deployment cycle.